Size 11cm high – 11cm wide. 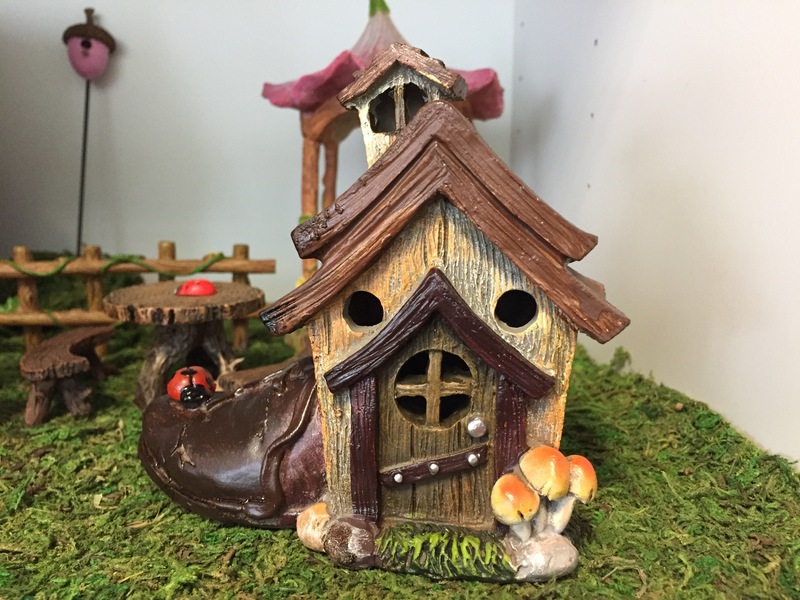 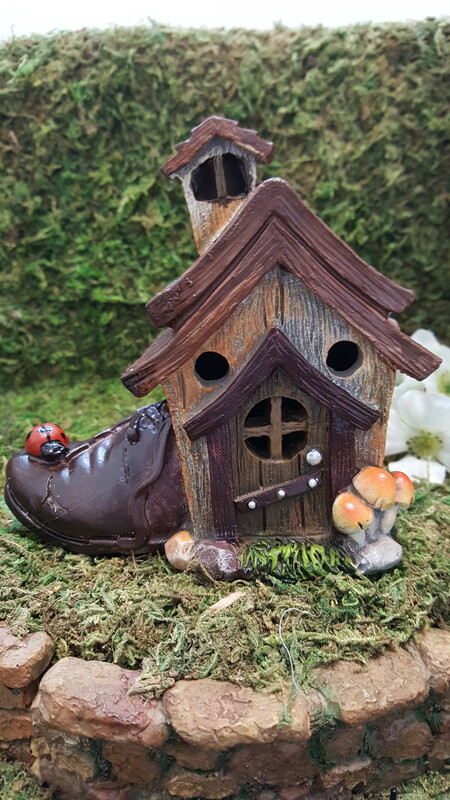 This cute little fairy shoe house has a wood effect door. 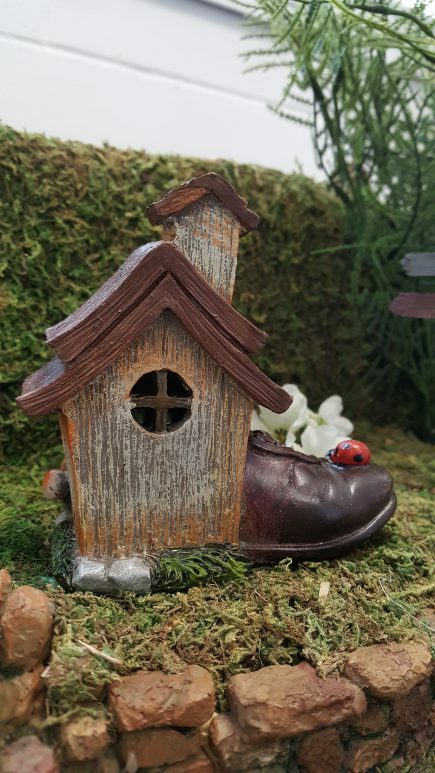 There is a little ladybird sitting on the boot. 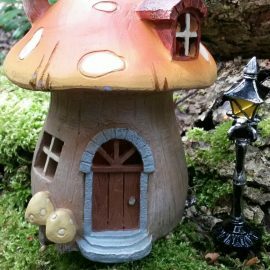 The house lights up with a coloured led light. 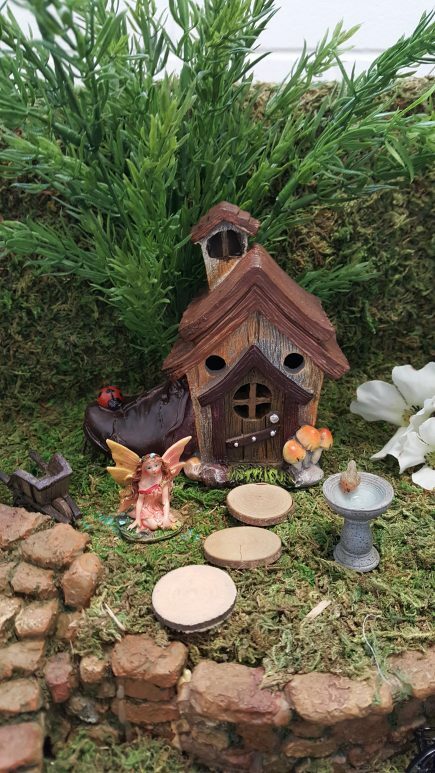 Perfect for miniature fairy gardens.